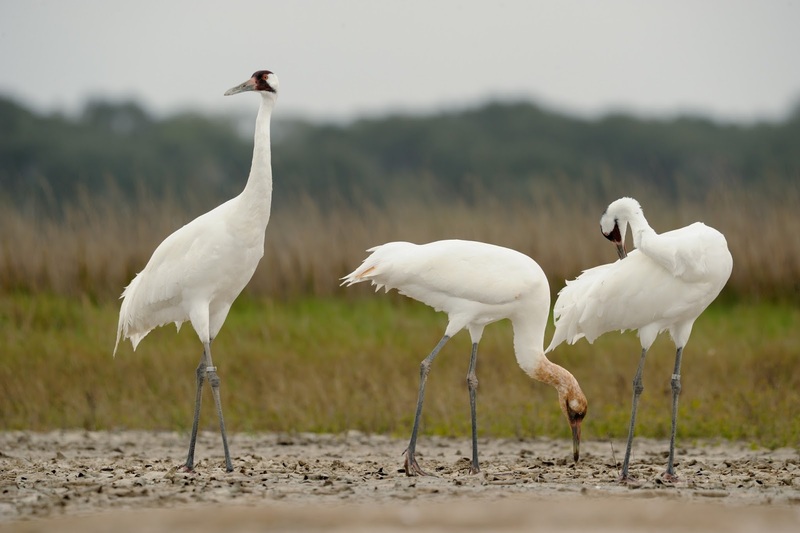 Elaborate courtship dance of whooping cranes. 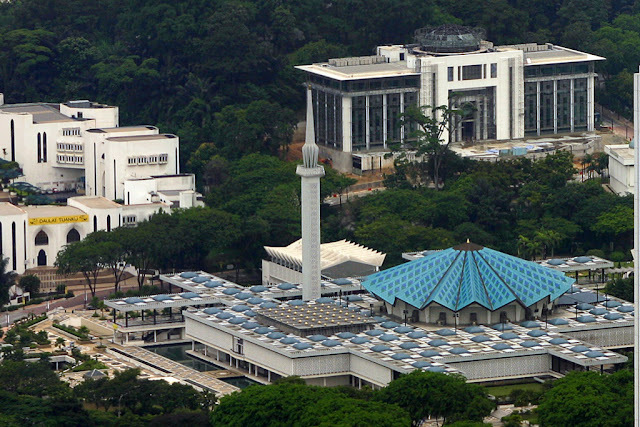 Cranes are the symbol of long life and fidelity in eastern Asia. They inspired artists to picture them in their paintings since antiquity. 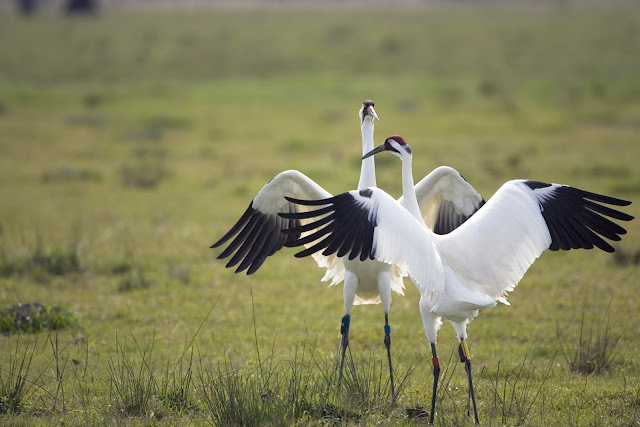 Human admire cranes for its qualities such as mate for life, their elaborate courtship dance, their white plumage and many other. 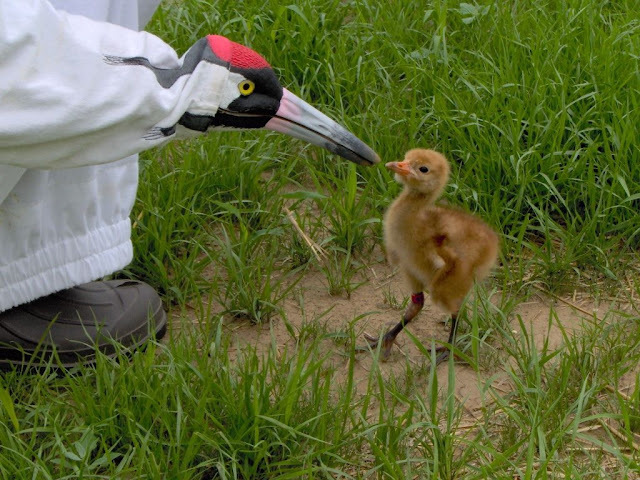 Whooping crane also can be found in North America and almost extinct when their total numbers were less than 20 birds by 1941 - caused by lost of their wetland habitats. Their breeding areas are in the Midwest and Canada, and migrating to the Gulf coast during the winter. 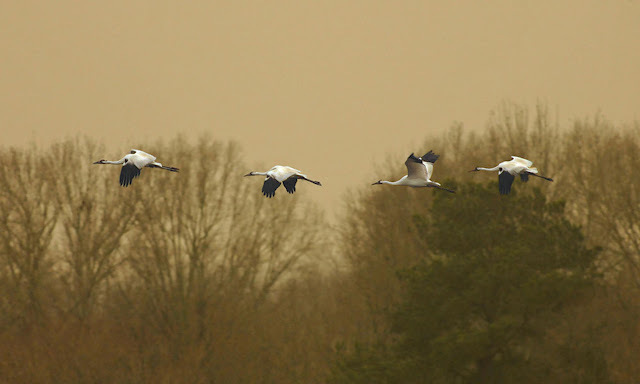 Their number had increased up to 600 today through captive breeding, wetland management and by teaches young cranes to migrate. Whooping crane will keep on moving while searching for foods. It can be in small flock. Conservation work; feeding the young. 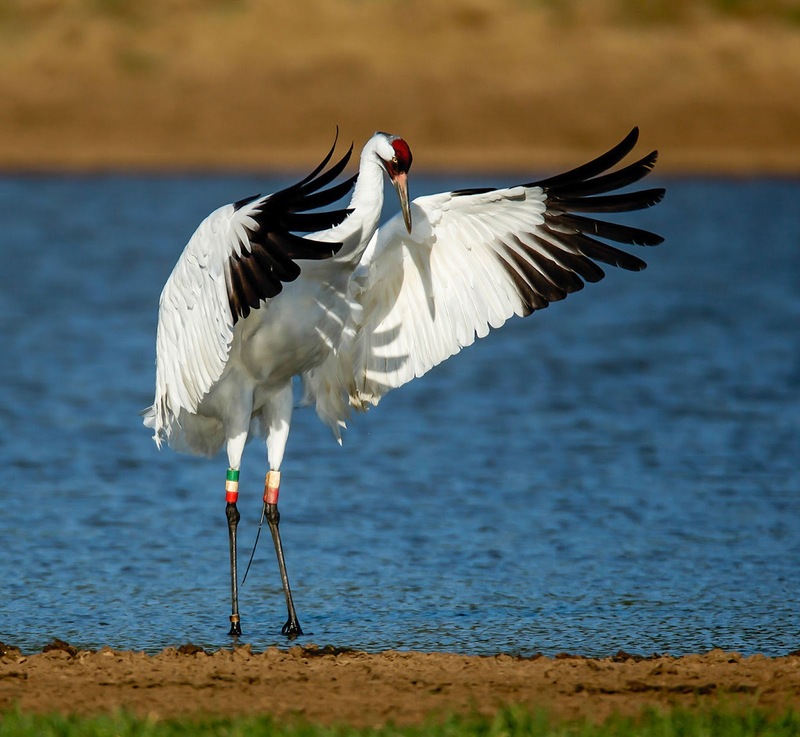 Whooping crane is a large bird that can reach height up to 1.5 meter (4.9 feet) and have a wingspan up to 2.3 meters (7.5 feet). Males weigh on average 7.3 kg (16 lb), while females weigh 6.2 kg (14 lb). 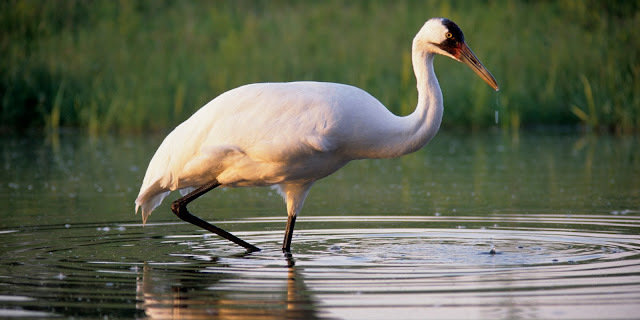 The next largest bird in the same family is the great egret which is over a foot (30 cm) shorter with weight one-seventh the weight of this crane. 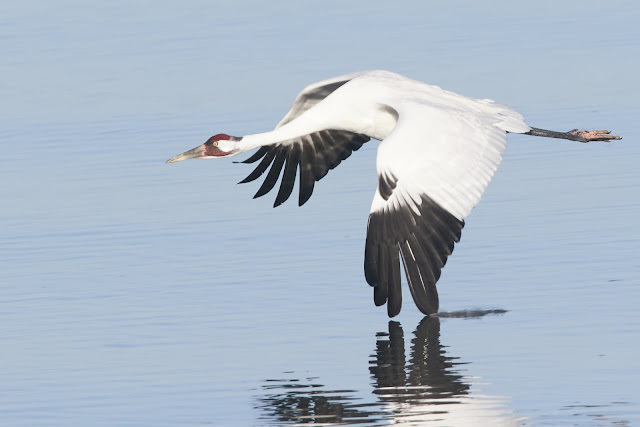 Whooping Cranes will keep on moving, browsing and probing for food rather than hunting patiently and stealthily like heron. They can be in small flocks too. 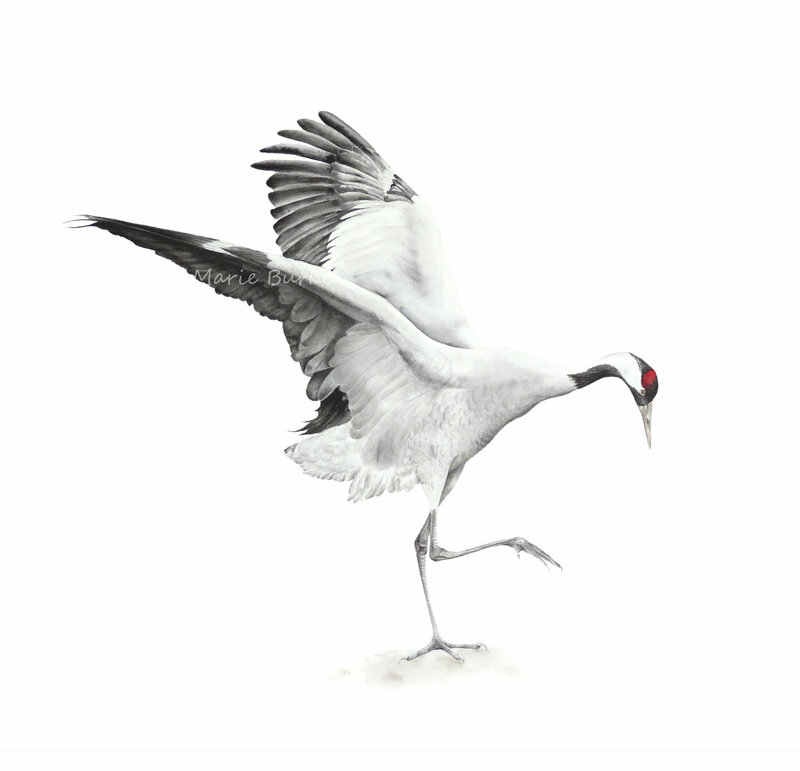 Other than that, cranes are known for its elaborate courtship dance and usually painted by artists against white snow background.